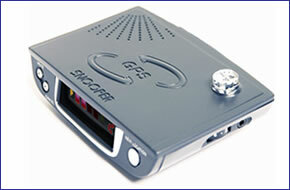 Snooper S3 neo GPS Laser speed camera detector provides alerts to fixed cameras and mobile laser and based speed camera vans and handheld devices. Snooper S3 neo built-in piezo bleeper alerts you audibly whilst a series of bright coloured LED's alert you visually, indicating the type of location you are approaching from a 100-500metres. Snooper S3 neo has been discontinued. Accessories are still available for your Snooper S3 neo click here. For the latest range of speed camera detectors click here. Snooper S3 neo GPS Laser speed camera detector provides alerts to fixed cameras and mobile laser and based speed camera vans and handheld devices. Snooper S3 neo built-in piezo bleeper alerts you audibly whilst a series of bright coloured LED's alert you visually, indicating the type of location you are approaching. Snooper S3 neo built-in piezo bleeper alerts you audibly whilst a series of bright coloured LED's alert you visually, indicating the type of location you are approaching. The volume of the alert can easily be adjusted and the pre-alert distance set from a minimum of 100metres to a maximum of 500metres. The Snooper S3 neo, like all Snooper speed camera detectors, gets it speed camera data from the Snooper AURA speed camera database. The database provides advanced warnings to both fixed and mobile speed camera locations across the UK, Europe and in a growing number of other countries across the World. The database is constantly updated with the latest locations. Click here to read more about the AURA speed trap database. Mount the Snooper S3 neo device in a suitable position on the dashboard or windscreen and connect it to the vehicles cigarette lighter socket with the power cable provided, then switch it on. To download and successfully update the Snooper S3neo's GPS speed camera database, you will need a PC running either Windows XP (32-Bit), Windows Vista (32-Bit), Windows 7 (32-Bit) with an internet connection. Please note: the S3 neo, as with all Snooper products, is not Apple MAC compatible. Want to add accessories to your Snooper S3 or S3-R neo? We sell a vast selection of genuine Snooper parts and accessories.